Arriving in the USA on April 22nd and also coming to some other countries. 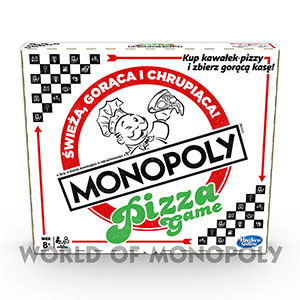 Late last year we were introduced to the Pizza Monopoly in the USA. Now we have Italy and Poland. Please let me know which other countries has this version and any possible images. Thanks. Custom edition for Airborne Museum, France. Coming to the USA in the next couple of months. New city edition for Poland coming late 2019. 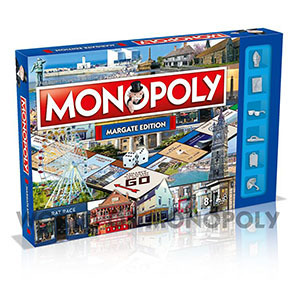 First UK city edition of 2019 released. The third version in the "Gamer" series (others to be added soon). 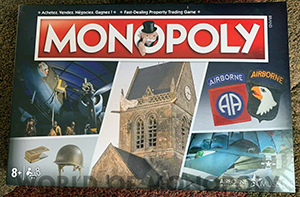 Watch out for more Australian versions of Monopoly being added to the website. I have lots to add. 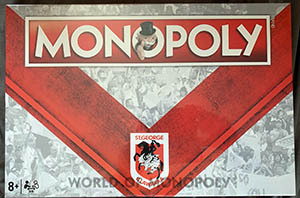 Go to Crown Resort and Casino located in Burswood, Perth, Western Australia on Saturday 9th March with the chance to win one of 50 limited editions of this version. 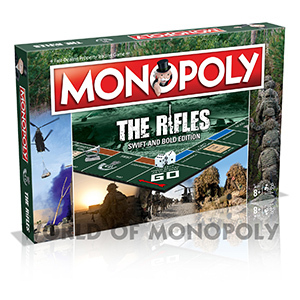 Now available for a very expensive price - £46.99 plus postage. 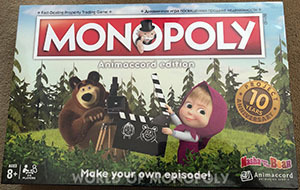 A special edition celebrating 50 years. 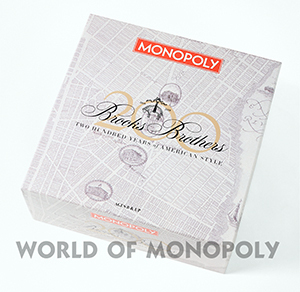 A special edition celebrating 200 years. Warning: Expensive version. The alteration to the navigation Completedhas now been complete. It should be easier for you to find the version Now Alphabetically you require (if it is on the website). World Record Holder in the news! 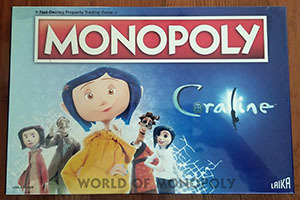 The current world record holder for Monopoly items, Neil Scallan, has been interviewed for a Canadian online toy magazine. He talks about his new world record, about collecting and about his collection. The current world record holder for Monopoly items, Neil Scallan, Now Available Here was on the the BBC Bargain Hunt television programme today. Charlie Ross and the collection. Myself, Neil and David (in the photo) are proud to announce that Guinness World Records have confirmed that Neil has broken his old world record with a total of 2249 now. You can now see his up to date World Record list exclusively here. 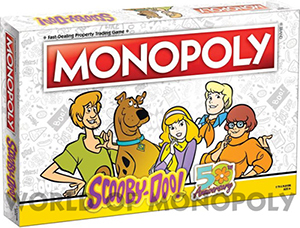 The comprehensive history of Monopoly (up until approx. 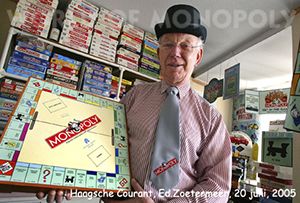 2012) by Albert Veldhuis is still available in its original state and will be totally integrated into World of Monopoly. EXCLUSIVE! World Record list available here! The current official world record stands at 2249 editions and is still counting. You can see the list exclusively on the World Record Page here. 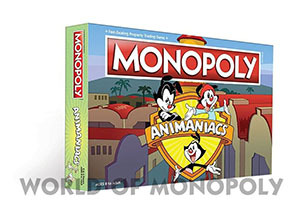 World of Monopoly is continuely growing trying to make it the most comprehensive list of Monopoly games ever produced. Help to expand!I need help to accomplish this with photographs and informations about each version. Click here to see how you can help please. 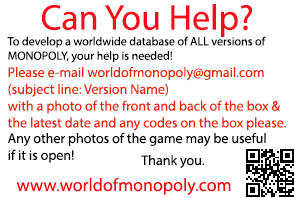 Need help trying to age a version of Monopoly? Join this Yahoo! group and ask there.